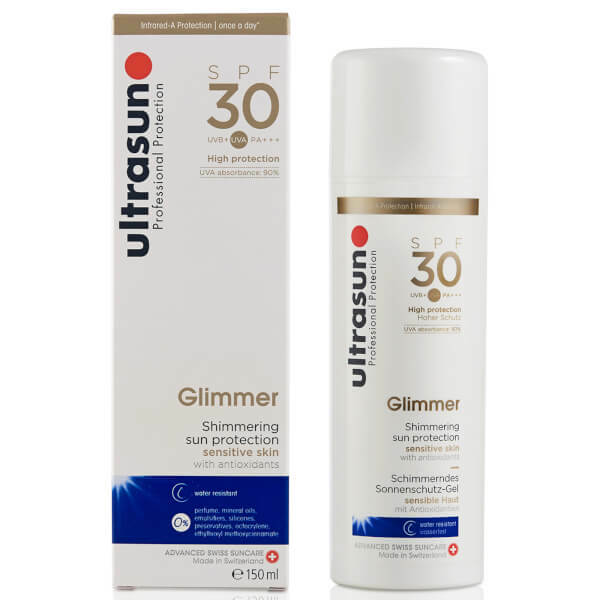 Achieve radiant, shimmering skin with the Ultrasun Glimmer Lotion SPF30; a gentle, yet effective sun lotion that protects skin from harmful rays, whilst delivering an enviable glimmer that catches the sun. 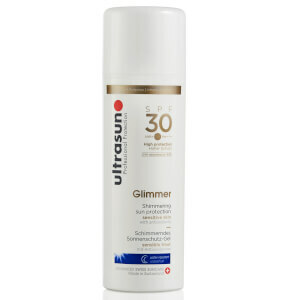 The water-resistant lotion is suitable for all skin and is ideal for protecting sensitive skin. The water-resistant lotion effortlessly glides over the body, absorbing quickly without leaving behind an unwanted, greasy or sticky residue. 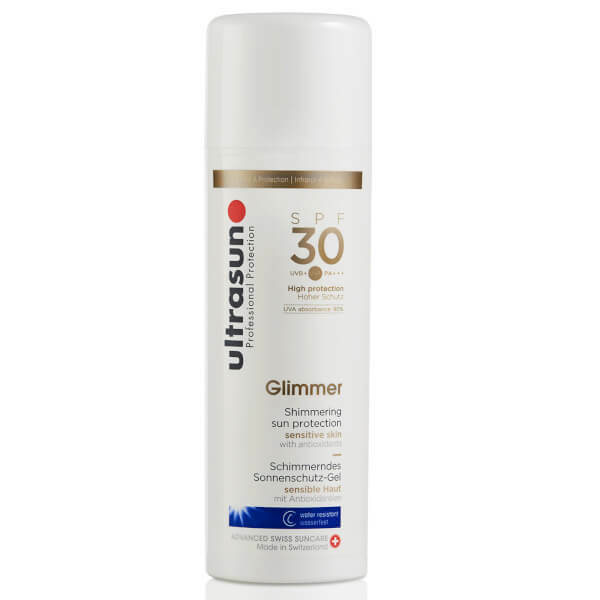 Developed with broad spectrum SPF30, the effective sun cream shields the body from UVA and UVB damage, whilst enveloping skin in a shimmering veil that complements sun-kissed skin. Aqua, Pentylene Glycol, Isostearyl Isostearate, Methylene Bis-Benzotriazolyl Tetramethylbutylphenol (Nano), Ethyhexyl Triazone, Glycerin, Titanium Dioxide (Nano), Bis-Ethylhexyloxyphenol Methoxyphenyl Triazine, Mica, Diethylamino Hydroxybenzoyl Hexyl Benzoate, Ethylhexyl Salicylate, C12-15 Alkyl Benzoate, Polyacrylate Crosspolymer-6, Caprylic/Capric Triglyceride, Squalane, Cocoglycerides, Hydrogenated Phosphatidylcholine, Titanium Dioxide, Vitis Vinifera Seed Extract, Silica, Alcohol, Cetyl Phosphate, T-Butyl Alcohol, Lecithin, Tocopheryl Acetate, Ascorbyl Tetraisopalmitate, Tocopherol, Diisopropyl Adipate, Ubiquinone.